It had been a few years since I’d last read this, so I was due. 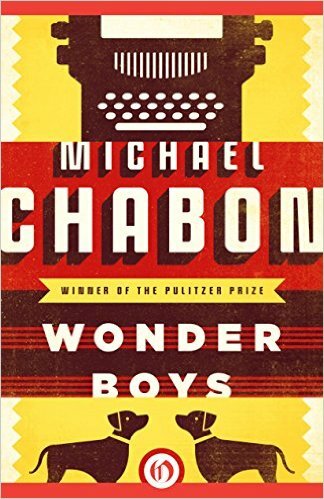 Yes, Chabon has too great a love for using words only five other people on the planet use in real life for his own good, but I’ll be damned if he doesn’t know how to paint a good picture. Consider this snippet from page 20: “The midnight disease is a kind of emotional insomnia; at every conscious moment its victim–even if he or she writes at dawn, or in the middle of the afternoon–feels like a person lying in a sweltering bedroom, with the window thrown open, looking up at a sky filled with stars and airplanes, listening to the narrative of a rattling blind, an ambulance, a fly trapped in a Cole bottle, while all around him the neighbors soundly sleep. This is in my opinion, why writers–like insomniacs–are so accident-prone, so obsessed with the calculus of bad luck and missed opportunities, so liable to rumination and a concomitant inability to let go of a subject, even when urged repeatedly to do so.” Reading this book reminds me of what I want to aspire to in my own work: creating something that readers will want to keep coming back to, even if only once every few years, because let’s be honest–a lot of books don’t get repeat reading. I’m cheating twice here because: a) it’s a trilogy, and b) I’m still reading it at the moment, but this book is beyond special. There’s little I can write here that hasn’t been written thousands of times before by others more qualified than I am to judge its greatness, but as I work on my next project I am taking to heart much of what I see in Tolkien’s remarkable knack for world-building. You need to do some level of world-building in anything you write, but a series like this has it in spades. Also, like Chabon, Tolkien has a profoundly miraculous way with words. 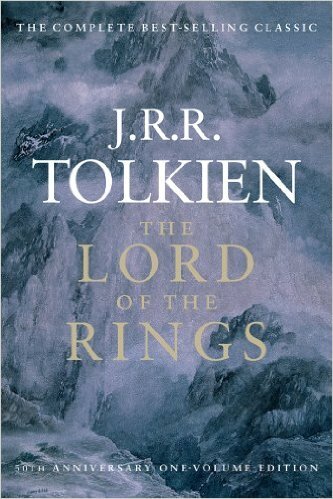 I believe this will be the fourth time I’ve read the series, and I am still struck by a moment in the book where Tolkien uses the word “stuff” instead of a more particular description, because it seems like the one place in the entire trilogy where he used a placeholder word and simply forgot to replace it with a better one during the revision process. I want to write well enough that people are struck by my choice of words, whether for good or bad. Far and away the worst book I read in 2015. I knew it wouldn’t be as good as To Kill a Mockingbird on quality alone, and I knew I couldn’t possibly enjoy it as much as I did the other because there was no way this book could possibly come close to meeting the hype that surrounded its release. I was bound to be disappointed, but I had no way of knowing I would be so utterly and completely let down. 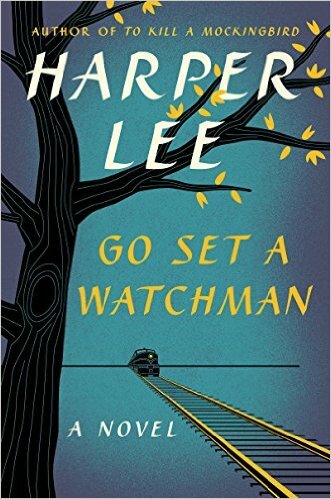 There is a reason Watchman was never meant to see the light of day–Lee wrote it before To Kill a Mockingbird, and she and her agent both knew it was crap. For all intents and purposes, Watchman is a first draft of an idea about a novel. There are significant portions of the book where nothing happens. At all. In any way. The voice is schizophrenic, the switch from past to present is rocky at best, and the characters’ arcs are all but nonexistent. I hate Lee’s estate or whatever went for a cash grab here because they have somewhat tarnished Lee’s literary legacy with this festering pile of garbage. With Star Wars fever returning to this part of the galaxy again (I can’t see it until Sunday though, so nobody post spoilers! 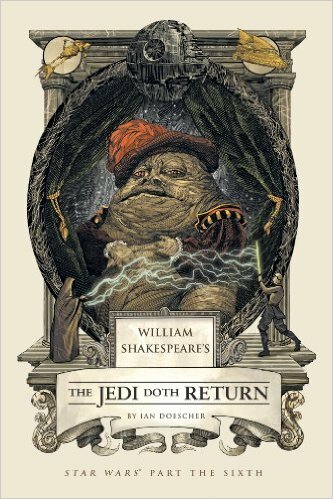 ), I figured there was no better way to get stoked again by essentially reading Return of the Jedi in iambic pentameter. It’s every bit as glorious as it sounds. It was a fantastic fun read! Cheating again by focusing on two books, but hey–my blog, my post, my rules, so nyah, nyah, nyah! Outside of perhaps Frank Peretti there is no bigger name in so-called Christian fiction than Dekker, who has supplied us with many an interesting yarn over the past decade-plus. 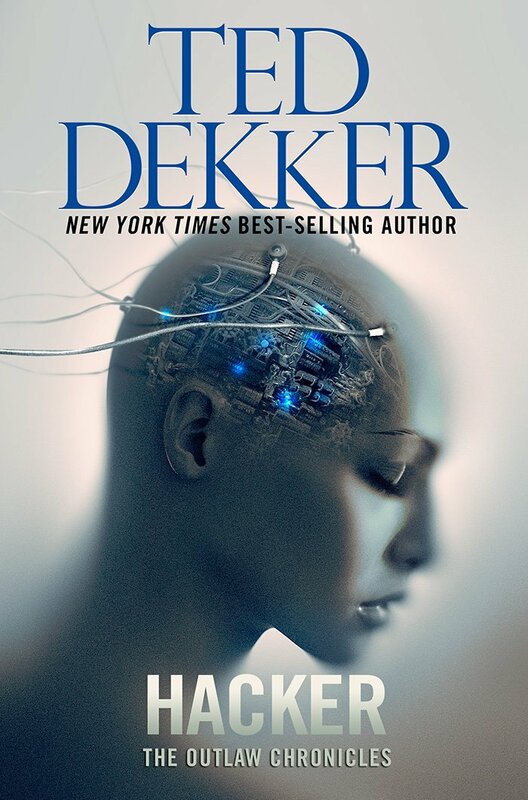 But Dekker’s act was wearing thin (his recent tag-team series with Tosca Lee, The Books of Mortals, was so poorly constructed–it even cribbed heavily from his best-known work, The Circle Trilogy–that I couldn’t even finish the second book) and I was ready to write him off. But then he did something different. 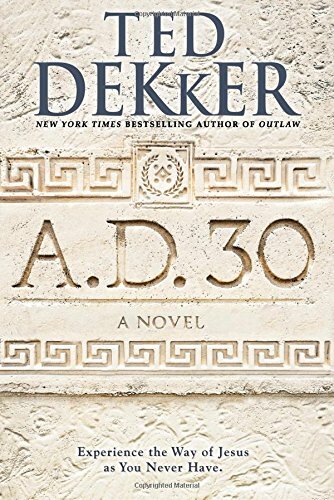 A.D. 30 was his first foray into historical fiction, and good grief did it draw me in. I was captivated by his descriptions and the emotional, political, social, and religious landscapes he depicted leading up to the arrival of Jesus of Nazareth on the scene were breathtaking and completely unlike anything I had ever read from him. His book had life in it, and it made me feel things–deeply. Hacker was similar in that it evoked strong emotional responses from me even though this book was more in line with his previous work (some out-there sci-fi about being able to essentially hack into your brain, a tactic a main character uses in order to stave off a terminal diagnosis). I saw some of plot points coming, but the denouement was exquisite in its execution. The point here is that beyond evoking seriously great responses from me, these books reminded me that it’s never too late to make truly worthwhile literary additions to our global library, and I hope to have the sort of career where I’m inspired by every last thing I’m writing, and am seeking to give my readers something to respond to on the deepest level possible. 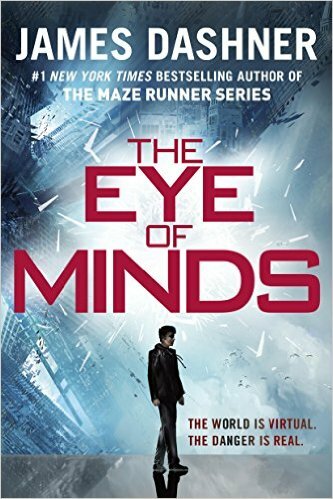 The first entry in Dashner’s first post-The Maze Runner trilogy. Proof that there is life after a breakthrough hit series. Simply put: I’m hooked. Still cheating. Never underestimate the author’s power to do exactly what he tells you he is going to do almost from the start of a series, even though you completely don’t believe he’s going to do it because there’s no way in hell an author would be that cruel, and no way a publisher would allow him to do it because his readers would hate him forever. Writers want to evoke a response from readers, even if that means pulling the rug out from under them in ways they will loathe. Snicket did that here. 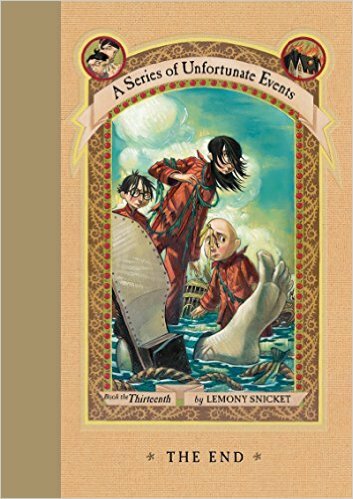 I hate the way this series ended, but I’m still thinking about it and talking about it, so Snicket did his job. Another reread, and proof that you can’t just have a nifty concept for the book (each chapter takes place on July 15th of every year that the story’s central characters–Dex and Em–know each other), but you have to have characters people are going to give a crap about. Dex is a self-absorbed narcissist of the highest order, but he is deeply flawed and much more than his ego and bombast would suggest to the casual observer. Em’s bookish and mousy while also possessing a fire in her bones that is palpable on the rare occasions when she ends up letting it out in the story, and her internal struggle to have the balls to chase after her dreams and stop settling for less is highly universal. 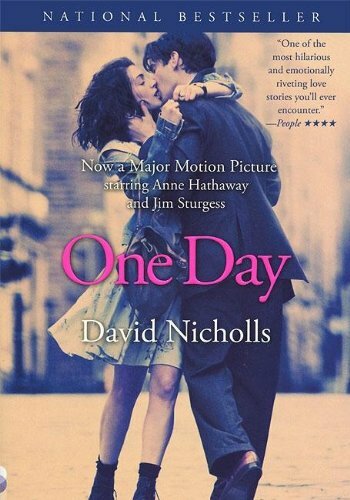 A bit of a summer read as some might call it, but it’s a strong love story through and through because these character aren’t caricatures, and their narratives are compelling. Again, something to aspire to with my own work. 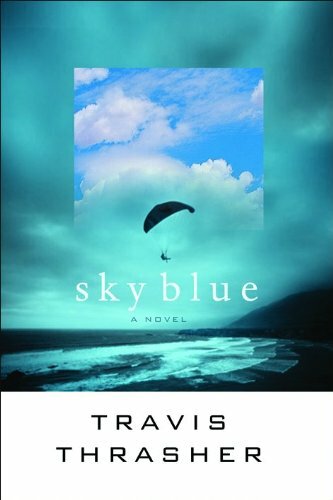 I’ve read this book several times over the years, and in truth this book’s tone, emotional levels, occasionally jarring narrative structure and voice, and introspective sensibilities are far and away the biggest influence any book has had on A Silence Worth Breaking. I read it again when I was knee-deep in Pitch Wars mania, revisions, etc., and it helped get me in the right head space to make some of the additions and changes I made with my mentor. Thrasher runs his main character through the emotional ringer after the loss of his wife in a tragic accident, but the payoff is absolutely worth it. Cheating. Yet Again. Somebody stop me. Seriously. There are many dystopian series I have not read, but of the ones i have read, the reason this one sticks out so much to me is because the series doesn’t just end, leaving you feeling hollowed out. The Hunger Games? There’s no happy ending here, folks. The Maze Runner? I won’t spoil it for folks who haven’t finished that series yet (and on a side note, the first two films they’ve made so far for this series…egad! ), but no one’s happy. So it is odd that Lu’s futuristic tale, where America is more like Civil War-era America by way of North versus South Korea than anything we know today, does more than simply get to an end and call it good. There is actually hope springing forth from the ending, and you get a conclusion that, while unexpected and perhaps not as idealistically happy as readers might like, makes sense and doesn’t make you feel like the author just ran out of steam. Again, I’m reminded of how I want to try and do something with my books that will resonate in these and other ways. If you made it to the end, congratulations! Let me know your thoughts on these or other books you read this year which struck you. Thanks for reading, and if I do not post again before January, I hope you all have a great Christmas and a Happy New Year! Okay, so I’ve been meaning to do some interview features on this blog since I started it on New Year’s, but somehow haven’t gotten around to it. That all changes today with my first guest on Tripping the Write Fantastic: Ryan Dalton. 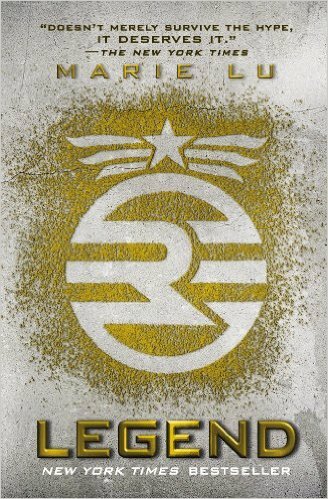 He has written an action-packed YA time travel sci-fi novel called The Year of Lightning–due out on January 12, 2016 via Jolly Fish Press–and is the first entry in the Time Shift Trilogy. Check out the book trailer below, then stick around for some questions and pay close attention to the other links I’m including at the bottom! How did the idea for The Year of Lightning come about and how long did it take for you to complete this first part of the trilogy? With respect to making the science fiction elements of this novel as strong as possible, are you naturally adept at understanding and applying scientific principles and was it easy for you to weave them into the framework of this novel? Or did you have to do a lot of research to come up with plausible scenarios? I’ve always been a science geek, so I went into the story armed with some of the knowledge I needed. As I got deeper, though, I did have to read more about things like quantum physics and meteorology. Since the book features time travel, there’s a healthy dash of science fantasy, but I wanted to at least extrapolate the fiction from actual science in some way. These are things I would be reading about anyway, so it’s the fun kind of research. In the acknowledgements you mention having received help with everything from French grammar to military procedure while writing this book. What was this process like for you and how did that help shape the characters and the story? I was fortunate enough to have friends who are experts in the subjects I needed. These aren’t major parts of the story, but they’re in there enough that I wanted to represent them accurately. Little details matter. If all the real-life factual stuff is on point, readers are usually more comfortable buying into the fantasy. Readers will notice nods to a number of classic science-fiction characters, books and movies: Emmett Brown High School, a character named John Carter, the main protagonists being named Valentine and Malcolm of Ender’s Game and Serenity/Firefly fame. There are even hints of The Faculty splashed throughout. Did some or all of this happen organically, or were these specific aspects of the story and the world of The Year of Lightning intended as a sort of homage to some of your own favorites from the science fiction world? A bit of both. The name of the high school is a subtle nod to Back to the Future. I thought it’d be fun to reference a time travel story inside another time travel story. Joss Whedon is a huge writing inspiration to me, so Malcolm is definitely an homage to Firefly. Valentine wasn’t deliberate, actually. I just liked the name and thought it fit, and didn’t remember until later that it’s also a character in Ender’s Game. The John Carter reference has a specific function in the book that I won’t spoil here. I see all this as one of the perks of being an author–getting to share the things I love with fellow readers and geeks, even if it’s just in subtle references. You find little nods like this in movies pretty frequently, so I figured why not do it in my novels? It was great fun coming up with them! When you look at the finished version now, is there anything about it that surprises you? Are there certain aspects of the story that went in ways you never would have expected, or did you ultimately take some chances along the way that you hadn’t expected to take with this story? The story has definitely evolved since the beginning. Much of the original concept is there, but over time it grew into something better and more layered. As I wrote the characters, they grew into such dynamic people in my mind. The story became more emotional as I got to know them. As I refined my concept of time travel, that also had a profound effect on what I could and couldn’t do with the story. Overall, it feels like The Year of Lightning started as a fun idea and matured into something that I’m very proud of. As the author, you’re naturally going to feel a certain amount of closeness to this project. It’s your baby. But is there a particular scene, a character, an aspect of the book that you are most struck by? My favorite scene happens near the end, so I won’t spoil the specifics here, but an underestimated character does something unexpectedly awesome and I had a blast writing it. As for characters, I love them all in different ways–even the villains–but Fred Marshall is a side character who became so fun to write. On the surface he’s a buffoon, but by the end he shows a surprising amount of depth. Also, I’ve always loved lightning storms, so it was fun to feature them as part of the plot. Which part of the book was the hardest for you to write? As much as I love good fight scenes, they are by far the hardest parts to write. Every fight took several times longer to write than other scenes. It’s fun to block and choreograph them, but it takes multiple revisions to make them clear and concise while also conveying the right beats and emotions at the right moments. They’re also emotionally taxing since I really have to live in that moment until the fight is over. They’re a labor of love, though, and I’m exhausted afterward. Conversely, which part was the funnest, or flowed the best? I love dialogue and snappy character interactions. Those scenes flowed onto the page so naturally and so quickly, as if the characters were talking to each other and I transcribed the exchanges. Over time, their chemistry continued to grow until it felt like old friends and family really were in the room together. Do you relate to any of these characters more than the others? There’s a piece of me in each of them, I suppose. I tried to give them all real struggles and believable talents. More than anything, I wanted their brains to be better weapons than their fists. I’ve always respected stories where the protagonist beats the villain with mind first, fists second. Anyone can throw a punch or shoot a gun, but to match wits with a worthy opponent? Now that’s fun to read. That’s a big part of my preference, and it’s reflected in the main characters. With writing, you’re only limited by imagination and skill with a pen (or keyboard). Building worlds and characters, helping them live and grow, then sitting back as they surprise me with something new and awesome–it’s deeply satisfying. Then, there’s no feeling like giving those stories to someone and seeing how it touches them. When someone laughs at a joke, gets protective of a character, comments on something in the story as if it’s real to them, it feels amazing to have reached their heart in some small way. A big Thank You to Ryan for taking the time to talk with us about The Year of Lightning, Mikayla Rivera and the fine people at Jolly Fish Press for connecting us, and to everyone who read this interview. I hope you enjoyed it! To learn more about Ryan and his work, visit his website, Goodreads page, or catch him on Facebook, Twitter, and Instagram. The Year of Lightning is available for pre-order at Amazon and Barnes and Noble. THIS THING THAT I AM READING. Writers dream of having people respond to their books like this, so when a prospective agent is the one having this type of response, it’s hard not to be drawn to that. We want someone who will champion our work, who “gets it,” and who loves it as much as we do. Laura is that person, and TriadaUS is absolutely the perfect fit for me as a writer. Big thanks go out to Holly Faur for mentoring SILENCE in this year’s Pitch Wars competition and helping me reach this point, Brenda Drake for putting on Pitch Wars, and Lynnette Labelle and Brighton Walsh for helping make sure Holly saw my submission in the first place. And an even bigger thanks goes out to my wife, who made sure I never gave up on finding an agent (it’s been a long road! ), and that I took some serious time to write this book last year when this idea really started to take root in my mind. Thanks baby! That might be the only applicable word for describing the entire Pitch Wars experience. Brenda Drake? The woman behind Pitch Wars? Wow. Holly Faur? The mentor who swooped in and wanted to work with me on A Silence Worth Breaking? Wow. The willingness of Lynnette Labelle and Brighton Walsh (I’m still not sorry my synopsis made you cry! :D) to scream from the mountaintops during the selection phase until Holly came along because they were so eager for my novel to find a “home?” Wow. Each and every one of the finalists who were selected? Wow. The things I have learned about the craft of writing and how they are already helping me write my next novel even better? Wow. The support I have received from the entire Pitch Wars community–this year’s participants and mentors, as well as anyone who has participated and/or mentored in previous years–these past three months? Wow. And finally, last week’s agent round? Wow. As I write this, the agent round has been over for a week and it has been quite the emotional roller coaster for many of us. Some people didn’t receive any requests in the agent round, while two or three received over 20 requests of some sort from agents. TWENTY-PLUS REQUESTS! Holy smokes! Talk about doing something right, eh? I received six requests from agents–five fulls, and one partial, which has been upgraded to a full in the last couple days–and I am ecstatic! I believed I would get one request, but expected to top out at two, or three if everything went really well. So to have six bona fide agents express an interest in my story blows my mind. The passion these people have for writing? Wow. Everyone’s willingness to cheer each other on through the highs and lows of writing, revising, killing our darlings, birthing new ones, banging our heads against the desk in frustration, or celebrating victories of any size for any reason? Wow. The agents who proved so willing to give of their time to even give us and our work the time of day? Wow. This has truly proven to be one of the most rewarding experiences of my life, and regardless of whether or not I end up finding representation from any of these six agents, I know I will find representation somewhere, somehow, because Pitch Wars has made my novel so much better than it was when this all began. Pitch Wars, as an experience, has exceeded my expectations and wildest dreams by a mile, and I will be one of its biggest proponents for the rest of my life. Pitch Wars Post #7 – The Agent Round is just Around the Corner! I can’t believe it’s almost here. We mentees have been talking about it, thinking about it, dreaming about it, dreading it, and otherwise stewing over it in one fashion or another since we submitted our entries to Pitch Wars back in the middle of August (and for those who knew about Pitch Wars prior to this, significantly longer!). Yes, I’m talking about the Agent Round. November 3-5 is when the fabled event will take place, and by this time next week each of the mentees will know whether any of the dozens of participating agents would like to see more of their work or not. Fingernails are being chewed on. Chocolate is being inhaled. Wine (or Writer’s Tears Whiskey, if that’s your speed) is being imbibed. All manner of internal and external emotional chaos is being let loose by the minute among the mentees. Will anyone want to see more of our work? Could one of these agents be The One? What happens if no one makes any requests? The questions, wondering, and emotional roller coaster ride go on and on and on. But this is part of what we signed up for, so it’s all good. This year’s Pitch Wars finalists have bonded and commiserated, and the community of people we connected with during the submission period in the month or so leading up to when the finalists were selected was priceless. I have met scores of wonderful people who are in the same boat as me–they write because they love it, they have to do it, and they hope to get agented and published some day, even if that day is not today. That’s one of the risks here: I could get zero requests for materials. I knew this going in, but I wanted to try anyway because if nothing else, I have a much stronger manuscript now than I did when I submitted two and a half months ago, and that’s nothing to be upset about. I know I might find an agent here, or I might find one outside of Pitch Wars once I start querying other agents starting on November 6th. You have no idea what’s going to happen, so you have to plan for the what ifs. So many people from previous Pitch Wars contests have received no interest during the Agent Round, only to land an agent within a matter of weeks or months outside of Pitch Wars, and people have received significant attention during the Agent Round only to end up with no representation in the end. It’s a total crap shoot. But that’s what we signed up for: a chance to have the agents come to us for once rather than the other way around, and see what happens. That’s all you can ask. It’s exciting, terrifying, and thrilling, and that’s why the majority of us mentees are waiting with bated breath for November 3 so the fun can begin.